After nineteen years, I have decided to retire from the guiding business. This web site will still remain active but will be undergoing revisions to reflect my retirement. However if you need a referral to another guide, please do not hesitate to contact me either through this web site or by calling me at 978-407-7901 or by emailing me at downrivercharters@comcast.net I will be more than happy to help you find a guide that fits your needs. Over the many years of guiding, I have made many great friends and for that I am thankful. I am also proud to have been endorsed with the Orvis Company. Being involved with the Orvis Company and its Sporting Tradition was a tremendous honor for me. Many thanks again for giving me the privilege of "taking you fishing" and for your friendship. 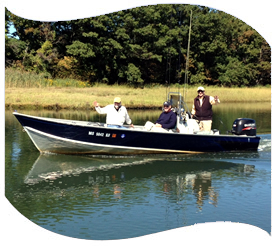 DOWNRIVER CHARTERS charter boat fly fishing on the historic Essex River and Cape Ann, Plum Island, Crane Beach, Hog Island. "Orvis endorsed fly fishing guide for fly and spin fishing Boston's North Shore Essex River and Crane Beach." Fly fishing and light tackle fishing for striped bass and bluefish (catch and release is practiced). 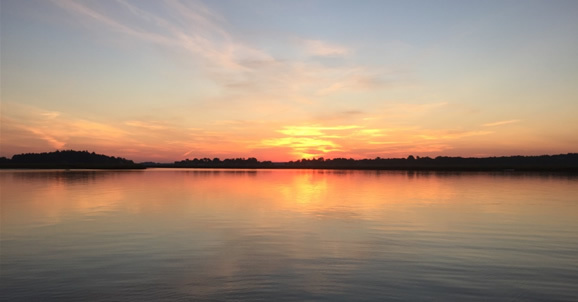 Enjoy the Essex River with Crane Beach and Hog Island minutes from the marina. Cape Ann and Plum Island a short run from the mouth of the Essex River.